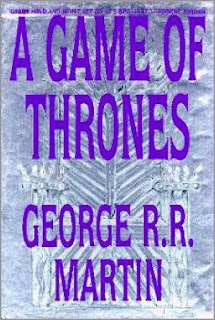 Science Fiction Fantasy (SFF) readers and collectors will be front and center over the next few months as HBO readies to debut a much anticipated series, Game of Thrones, April 17, 2011, based on the book series, A Song of Ice and Fire by master SFF author George R.R. Martin. 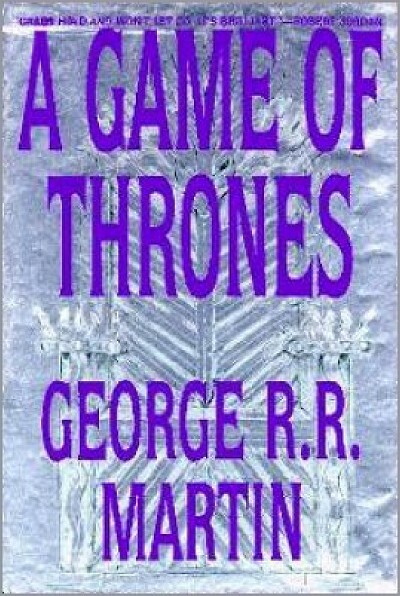 A Game of Thrones, originally published in 1996, is the first book in A Song of Ice and Fire, a promised 7 book series. Martin has recently announced that the long overdue (by fans) book 5, A Dance with Dragons will publish on July 12, 2011. I'm pretty certain the publication date will not negatively impact sales although I bet the publisher was pushing for an earlier release to coincide with the promotion of the HBO Series. 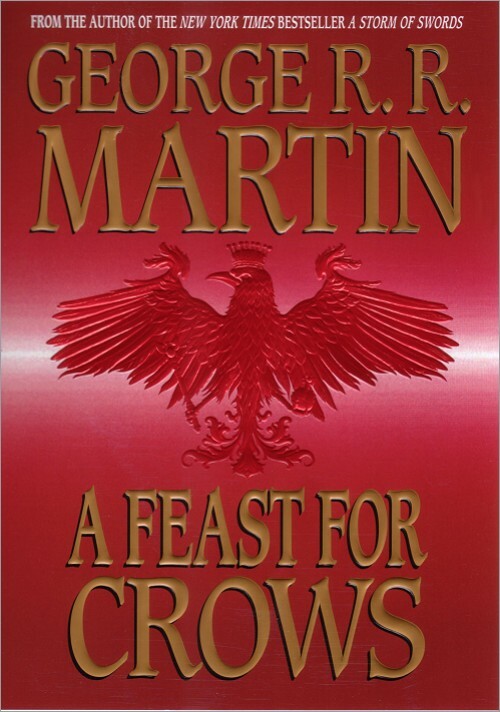 The 4 published titles, A Game of Thrones, A Clash of Kings , A Storm of Swords and A Feast for Crows are all available in inexpensive paperback format as well as ebook editions. Collecting the original first edition, first printing hardcover is a serous challenge for anyone getting into the game now and hoping for reasonable prices. I've been meaning to start a Martin collection since I read A Game of Thrones in paperback but never got around to it, my bad! I've built a list for each of the existing titles and as with any Series, the later titles are more available than the earlier....go figure, as the first title was a success the initial printing rose for the next book in the series! As a general rule of value collecting, start with the most recent title and work your way backwards. By taking this approach, you acquire as many first edition, first printings as you can afford and save money for the more expensive first book in the Series! A Game of Thrones, Bantam Books, USA (Voyager Books, London) was a best seller when published in 1996 and the focus of the HBO Series. There are 26 copies listed for sale with prices ranging from $75.00 to $1750.00 plus shipping (see link with title). Collecting involves decisions and here, I am going to assume that the best way to proceed is to focus only on collecting the Bantam Books edition although the listing I link to above include the more expensive Voyager Books release. There is also an illustrated, limited edition published in 2000 by Meisha Merlin, now out of business. I am very interested in acquiring a copy but none are currently available. Martin's signature is an added value although it may be possible to collect books without signature and try to visit Martin in person when he is traveling to SFF conventions or your local store promoting his latest release! 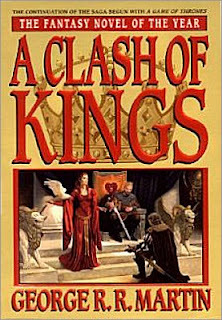 There are 30 copies of the second book in the Series, A Clash of Kings, Bantam Books, 1998 (Voyager Books, London, 1998, currently available from $49.95 to $1300.00 plus shipping. There is one copy of the Meisha Merlin limited, illustrated edition (John Howe) available for $561.00. Be careful when ordering, read the bookseller description carefully and contact the seller directly if you are confused because the catalog copy is often confusing and misleading. 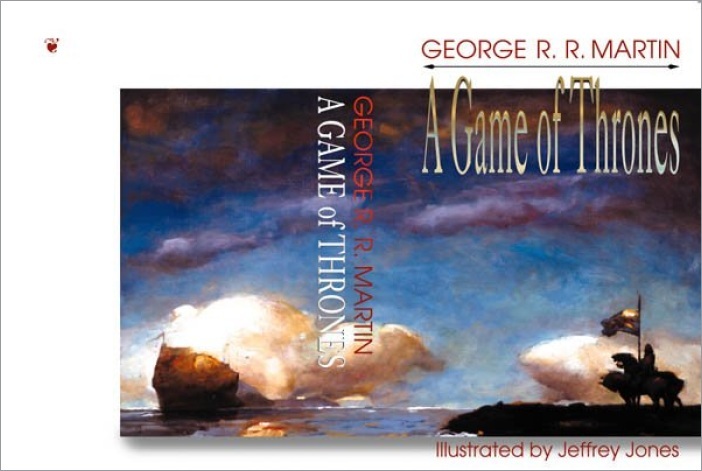 As with the first book, A Game of Thrones, the London edition is more expensive than the US edition probably because fewer copies were initially printed! 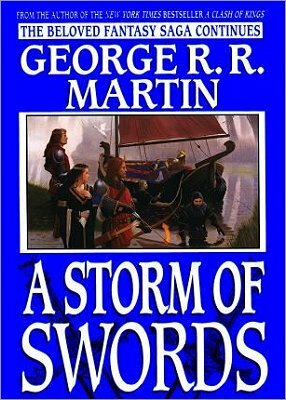 21 copies of book 3, A Storm of Swords, Bantam Books, 2000 (Voyager Books, London, 2000) are currently listed with prices ranging from $24.00 to $350.00. Only the $350.00, signed, copy includes an image of the actual hardcover cover, all the other copies display a later cover illustration and I would make certain that the image issue is simply a mistake before thinking this is a bargain to be had! Since Meisha Merlin is out of business there is no illustrated edition of book 3 from them. There is a 2 volume, limited, illustrated (Charles Vess illustrator) Subterranean Press edition, published in 2006, in print but I can't find any copies for sale. This 2 volume limited edition is sold out from the publisher but in August of 2011 15 copies will be sold along with the limited edition of the 4th book in the Series, A Feast of Crows. 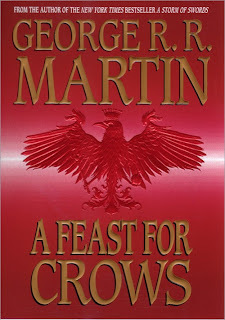 59 copies of A Feast for Crows, Bantam/Spectra, New York, 2005 (HarperCollins, London, 2005) are currently for sale with prices from $10.00 to $245.00. Grab one fast for $10.00 as over time, this too shall become scarce and more expensive. As noted above, a limited edition illustrated (Charles Vess illustrator) release is planned by Subterranean Press in August of 2011, pre-orders, sadly are sold-out. A Dance of Dragons, to appear in July is available for pre-order. It is likely that the first printing will exceed 50,000 copies so it will take years to appreciate in value. Still, if you are lucky enough to acquire the first 4 books, it would be shame to not guarantee a first edition, first printing of book 5! Collecting George R.R. Martin is a known and serious condition in the rare and collectible book world. He has done many more books, stories and even comics, than discussed here. 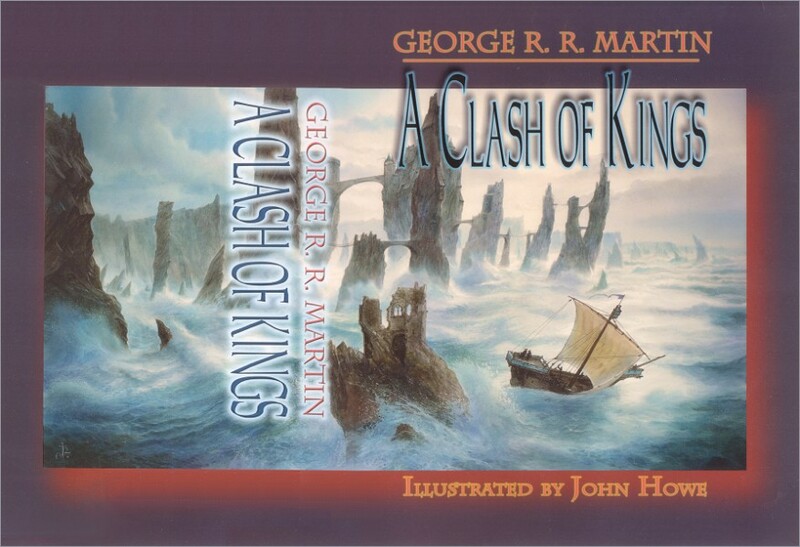 However, A Song of Ice and Fire is a masterpiece of contemporary SFF and really, a worthwhile collection to build. In addition to the US, UK and limited illustrated editions, there are editions to collect in many different languages and the ever annoying paperback Advanced Reading Copy (ARC), I reamin unconvinced these merit special effort other than for completists. Good luck and do check out the HBO Series premiere on April 17....they do excellent original programming in my humble opinion. met GRR Martin years ago at World Fantasy in New Orleans. He was very nice to me! I've got an ARC of Game, with the cover...worked at a bookstore...also an ARC of the 3rd book. My hubby works at a book distributor & got me a signed Dance of Dragons. I love Martin!